Pro-Cam Services LLC. 's Router Department! We at Pro-Cam Services LLC. want you to know a little more about our router department! We have a MultiCam CNC Router with an 80”X144” table, Z-axis clearance of up to 16”, repeatability of +/- .001, cutting speed of 2,400ipm and rapid traverse of 3,500ipm! We have invested in and built a diverse team with a combination of traditional router experience as well as traditional machine shop experience… The result is a cross trained team ready to take on a wide variety of projects! - We are good at both high volume and low volume projects. - Our precision machining job shop background helps us hold tight tolerances, machine tricky parts and do projects other router shops just can’t do. - Our traditional router experience helps us efficiently and cost effectively manufacture more conventional or traditional routed parts fast and within your budget! - Running two shifts helps us keep up with your high volume orders as well as deliver your rush projects super-fast. - We have 3D machining capabilities! Do you have any lexan machine windows or guards you would like us to quote? UHMW belt guides? Alum machine panels? 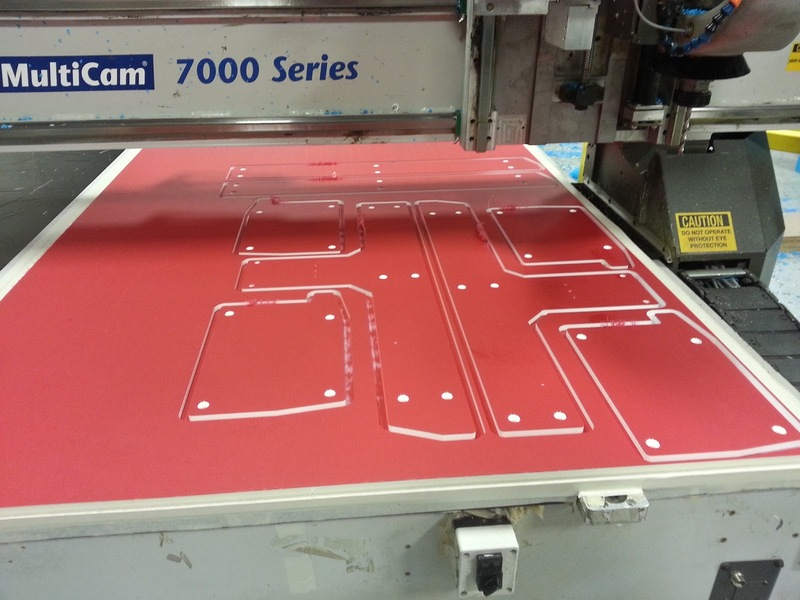 We are ready and equipped to look at your next CNC routing project!